I've decided to buy myself another bike to complement Nyx and Muse and to fill the "quieter bike gap". I intend to keep the bike mechanically pretty close to stock; but will add accessories where I feel they are needed. My problem is I'm spoilt for choice. So many really lovely bikes around at the moment to choose from, yet no single bike seems to be exactly what I'm looking for. Now that I'm getting close to putting money down, I'm forcing myself to be practical, which means there are a few bikes that I adore that aren't on my list as they are about 2-4" too tall for everyday use for me without good lowering options. 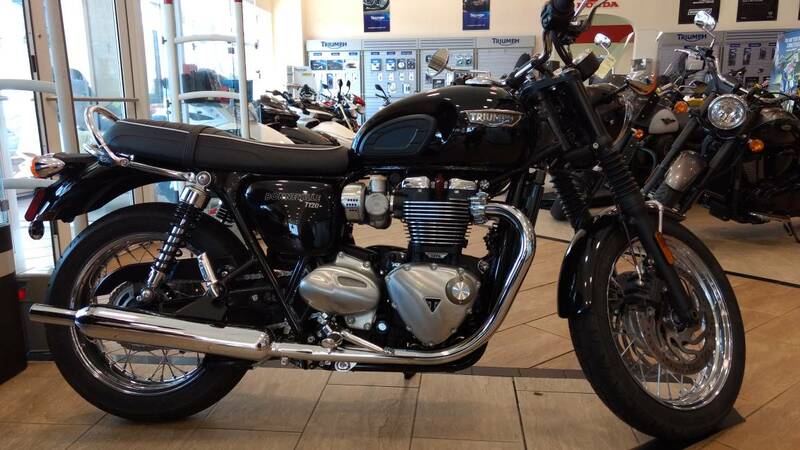 These include the Thruxton, the RnineT, and the Ducati Monster 821. A dealer in Brissy has this bike on their floor at the moment for the same price as a stock standard CX. Disadvantages: Bit too tall for my gammy leg (need to replace shocks but lots of options available); No bolt on luggage for my camera gear; not orange; pretty much the same as what I've already got. Advantages: Love the black; feels like home; dual brakes; ABS; Bolt-on topbox (or panniers) for my camera gear. Disadvantages: Fraction too tall for my gammy leg (need to replace shocks); Chain and spokes to be maintained; not orange; kinda the same as what I've already got. Advantages: Fits me well height-wise; ABS; Bolt-on panniers, top-box and tank bag. Disadvantages: Chain to be maintained; Single front brake; less ponies; not orange; kinda the same as what I've already got. Advantages: Fits me well height-wise; ABS; Bolt-on panniers; surprisingly nimble and fun; very different than Nyx! Disadvantages: Chain and spokes to be maintained; Sucky brakes; less ponies; no bolt-on luggage; limited accessories; not orange. Disadvantages: Bit too tall for my gammy leg (need to replace shocks); No bolt on luggage for my camera gear, but turn signal relocation and messing with fender struts might be able to fix that; not orange; very much the same as what I've already got. Well first you need some orange lens in your sunglasses. 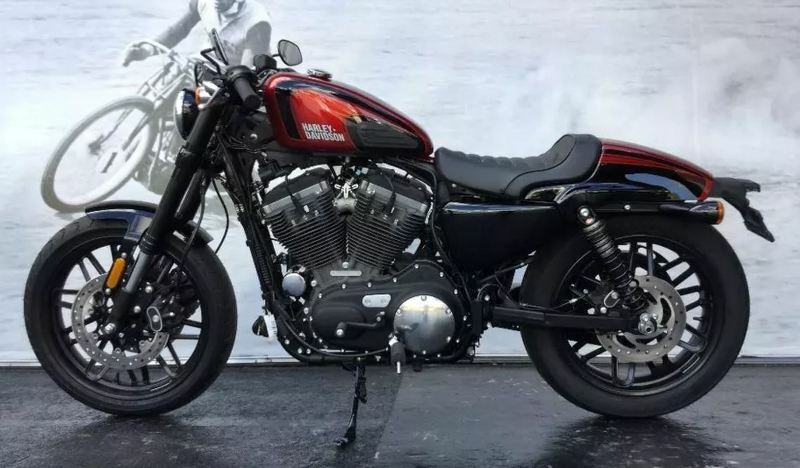 I would go with the Triumph bobber, most chains now are "o" ring sealed and you only require light lube for the outer rollers to the sprockets. On my ironhead chain I used a dry spray on moly lube which did not fling off. What happened to the Honda? 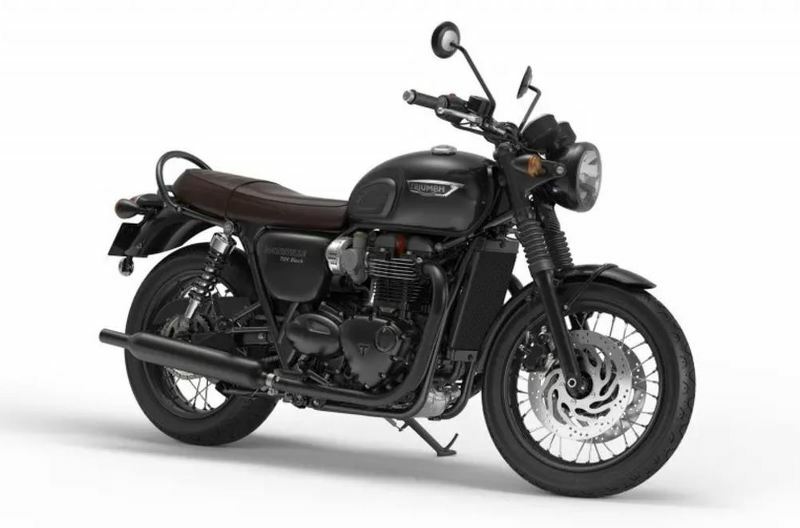 T120 - you failed to mention that it has selectable multi-mapping, traction control, 3-level heated grips all stock and the fit/finish is excellent, easily on par with Harley. I was looking at a few just last week. 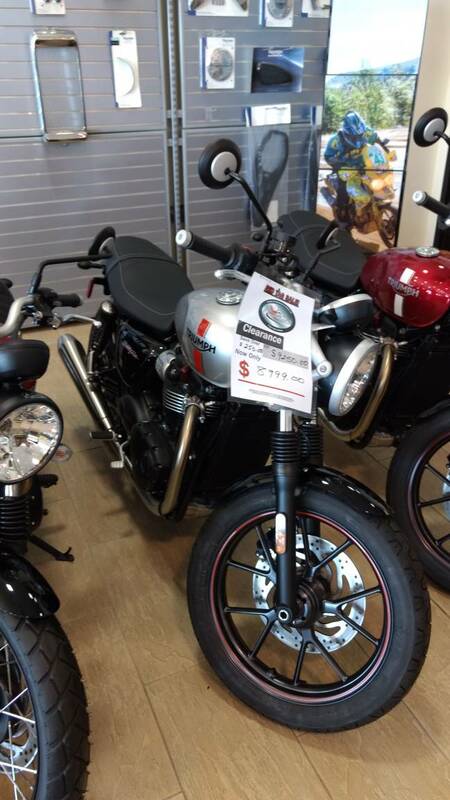 I like the Street Twin too don't get me wrong but the single disc and lack of a tach would bother me. 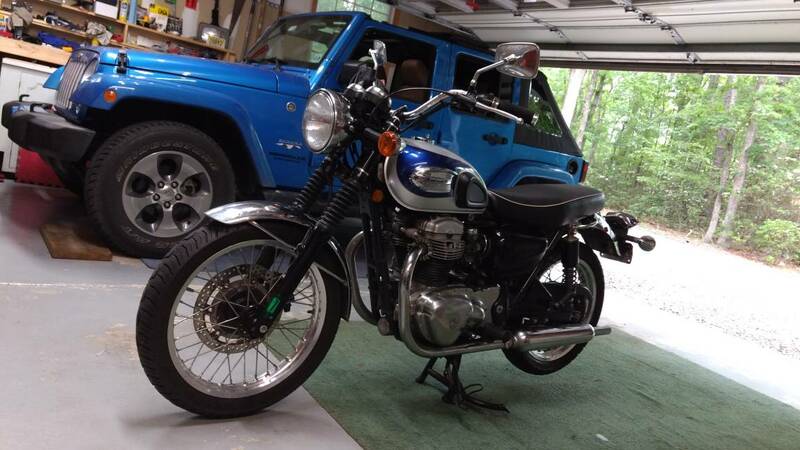 And as for the W800, I just helped a friend sell his W650 (to my little brother). Was very tempted myself but couldn't justify it with the new FLH at the same time. 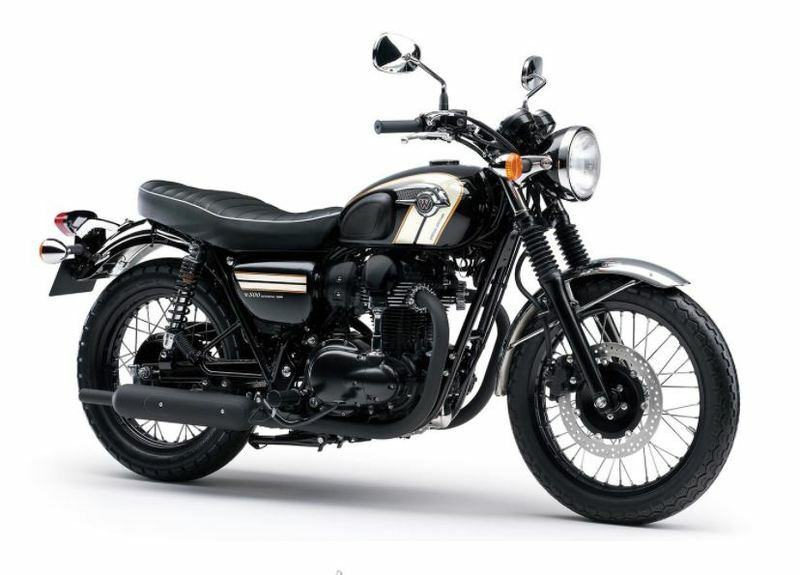 I think the frame is the same (check that to be sure) and if so the LeatherLykes for the W650 would likely fit it. Of course as soon as I finish saying that I'd buy the CX for the belt and hydraulic lifters, that is unless I got a wild hair and bought a BT. 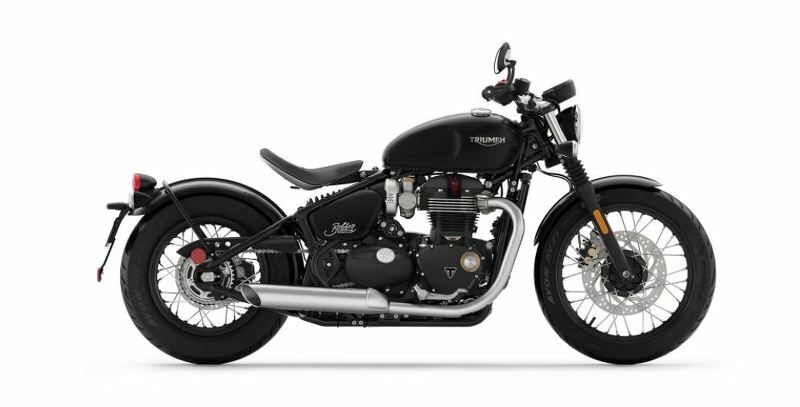 If I was going to add to the stable, I would go for the Triumph Bobber. My first big road bike was a Bonny and I have always regretted selling her (oil leaks, temperamental carbs and all). I also like its looks. You can't go wrong with a bike that has '1200R' in its name. I don't know. I love Harleys especially Sportsters but having ridden Triumphs some back in the day I have a soft spot in my heart for them. 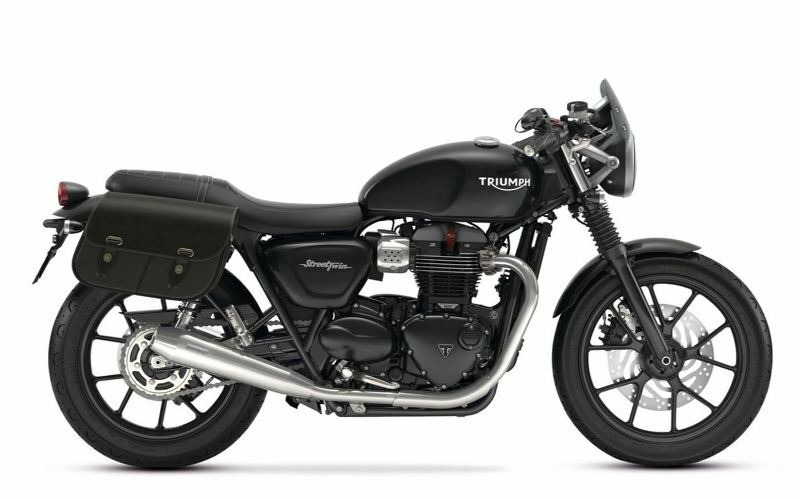 If I was going to get any bike other than a Sportster it would be a Triumph. Before you read this I will apologize in advance that it is kind of a rambling post that may not make sense to anyone but myself, and may not make sense to me if I read it again Hopefully you can get a few useful tidbits out of it. How much do you expect to ride it? If not significant then these should not be too big of a deal as long as you remember to do so (I would not) An oiler will significantly reduce the amount of maintenance required. Wow, really sharp looking bike! I am sure you can find a way to mount some type of luggage for your camera without too much effort, but it would destroy the lines of the bike. Perhaps a luggage rack if that would work for your camera gear? Or simply take another bike if you want to carry the camera. Although that would be a shame since I would want photos of the bike with the great backgrounds you find. 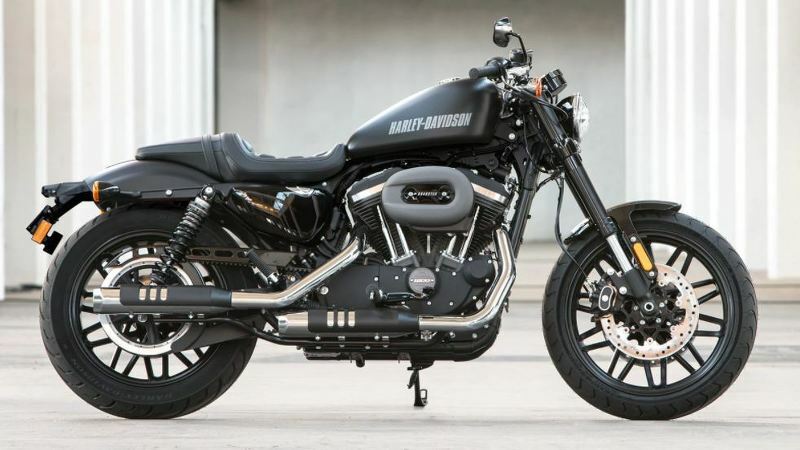 This particular bike would be my first choice simply due to looks. That is cool looking. I'd vote for that because it is very different from what you have so far. As I noted above, in my opinion the disadvantages are not significant. This would be a very close second. Don't get me wrong, I like them. For my tastes they are similar to me. I'd rank them all in a tie for third choice, the tie breaker would be how difficult would it be to lower the Bonny. If it is not a simple change, then I'd rank it below the others and focus on the ones that fit you. Yes, I like them a lot. For me, this would likely be my primary choice, but again I use my bike far differently than any other Sporty rider. For you, I'd say this is too close to what you already have and for that reason alone it is at the bottom of the list. Maybe ahead of the Bonny if it turns out the amount of work to lower it is really significant, but it would have to be a lot of work coupled with really hard to find parts. And I don't think that would be the case. 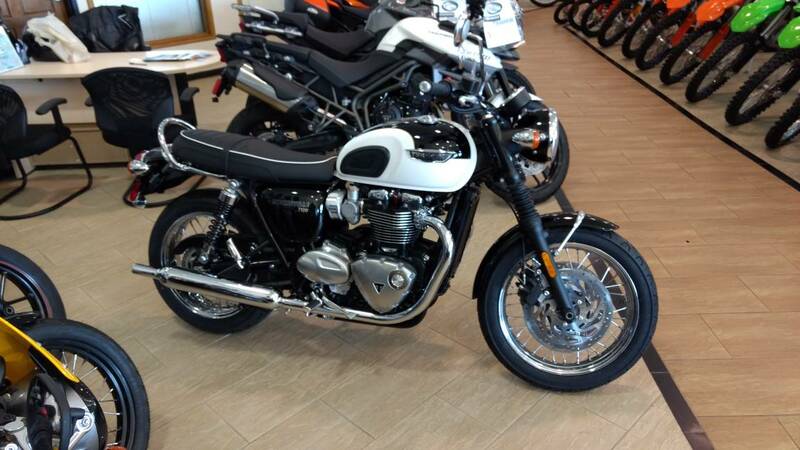 I had a Triumph T100 Bonneville. I really liked it, but sold it after my accident to satisfy my wife. I really like the looks of the Street Twin but I think I would get the Bonny.